NCEP/NCAR Reanalysis Monthly Means and Other Derived Variables..
Daily and Monthly Values for 1948/01 - present. Long term monthly means, derived from data for years 1981 - 2010. 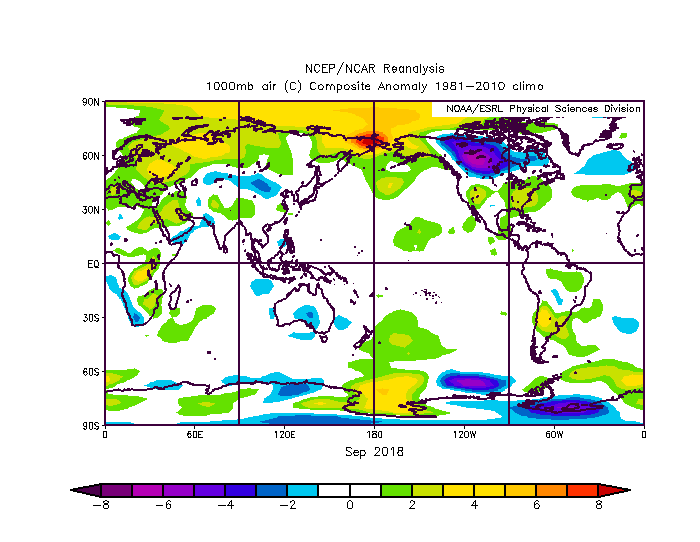 Please note: If you acquire NCEP Reanalysis Derived data products from PSD, we ask that you acknowledge us in your use of the data. This may be done by including text such as NCEP Reanalysis Derived data provided by the NOAA/OAR/ESRL PSD, Boulder, Colorado, USA, from their Web site at https://www.esrl.noaa.gov/psd/ in any documents or publications using these data. We would also appreciate receiving a copy of the relevant publications. This will help PSD to justify keeping the NCEP Reanalysis Derived data set freely available online in the future. Thank you!